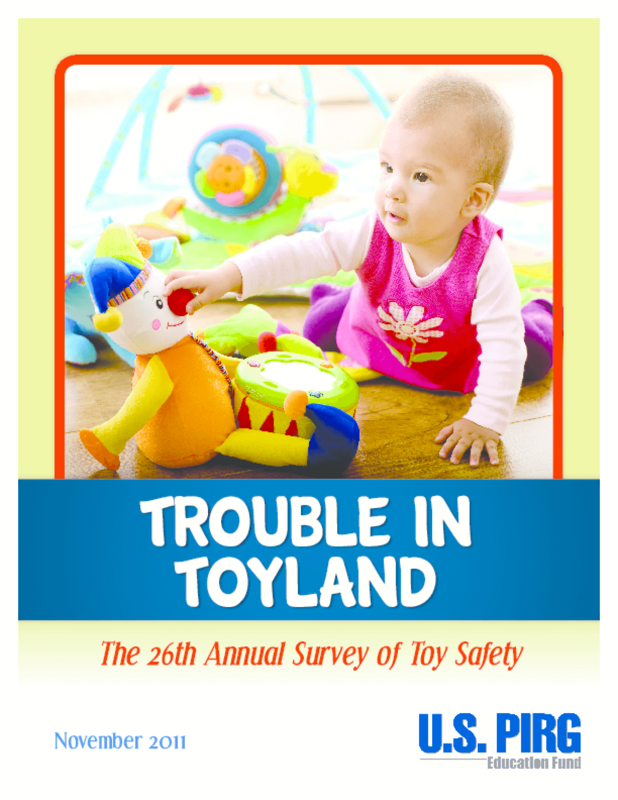 Presents findings on toys that may pose choking hazards, are excessively loud, or contain lead, phthalates, or other toxins. Outlines federal standards and makes recommendations for consumers, policy makers, and the Consumer Product Safety Commission. Copyright 2011 U.S. PIRG Education Fund.